Healthy hair is dependent on a variety of factors – genetics, diet and more – but in the summer, there's a lot we can do to keep that mane looking and feeling its best. We only need to shampoo a few times a week, but we should make it a habit to condition every day. Products with the silicone ingredient dimethicone are especially good at protecting the hair cuticle and improving moisture content. Once a week, it’s smart to use a deep conditioner with protein or keratin for added protection and to combat frizziness. Hats and scarves help to block UV radiation, but there are a number of products that can also effectively block these harmful rays. Seek out products that contain benzophenones or cinnamates – these act as an SPF for your hair. Chlorine not only dries hair out, it can cause split ends as well. Dry hair is like a sponge and will absorb more of the pool chemicals than wet hair. To lessen the damage, soak hair with non-chlorinated water before getting into the pool, and rinse immediately following. Favorite beauty tools like hair dryers, curling irons and straighteners all contribute to damaging the cuticle of the hair by drying it out, leaving it susceptible to breakage and split ends in warmer summer months. Air dry hair at least 80-90 percent before styling to give the follicle added protection, or avoid artificial heat completely. Getting a monthly trim immediately improves the look and condition of hair. 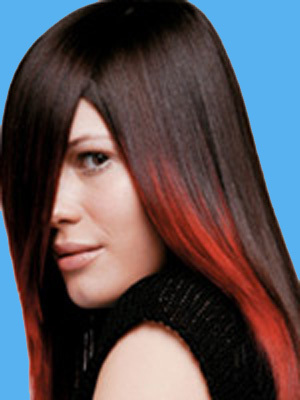 New ends are also less prone to static and frizz. Try to avoid salon treatments like bleaches and dyes in the summer months as hair exposed to sunlight is more likely to break after being subjected to chemical treatments. So follow these hair tips and enjoy your summer.